A family owned and operated Denver business celebrating 26 years of outstanding customer service, installation and product line. When looking for a great flooring store, Colorado residents know Denver Carpet and Hardwood is hard to beat. Not only will you get a straight answer on flooring and installation, we will tell you why. You are dealing directly with the owner: a 26-year flooring installation and flooring product veteran. We are not the typical sales people that are taught the product line and how to measure and then told to only go sell the products. Not only do we know the products but we know the installation. Denver Carpet and Hardwood sets itself apart from the National Retailers and the big box flooring stores in Colorado by listening to the customers’ wants and concerns when it comes to flooring. First we ask you what are you looking for? Do you have kids or pets? How long are you going to be in the home? We fit the product to you. Not you to the product. We also understand that there are customers out there that know the product they are looking for and need no education; but for those of you who do, we are here to help. Being in the business for as long as we have, our number one goal is YOU. The second is to not oversell, under promise or underachieve. We do this to build not only you as a customer for life, but your friends and family as well. OUR NUMBER ONE PROMISE TO YOU IS CUSTOMER SERVICE. We will always be there for you, whether it be day, night or even the weekend for any of your carpet or hardwood flooring questions in the Denver, Colorado area. Just give us a call. Wondering how do we do all this? That’s easy: we are a low overhead low cost company. We bring the products to you. Ever go to the store and bring home a sample just to find that the color is way wrong? Why waste the gas going back and forth from the store to your house when you can see the products and all the colors in the comfort of your own home? 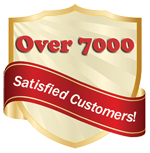 Denver Carpet and Hardwood, Colorado’s premiere flooring store, does free in-home estimates. There is no charge to come out and measure then take the price off of your bill. We take care of you right there on the spot. Again, is there any better customer service than that? Looking for a big selection in your flooring store? Denver Carpet and Hardwood has it. We have the buying power of all the major manufactures: Shaw, Mohawk, Beaulieu, Somerset, Homerwood, Br111, Nova, Columbia, and Mullican. Just to name a few.